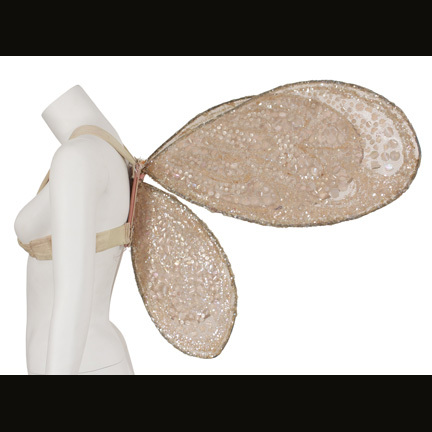 These vintage fairy wings were worn by legendary entertainer Britney Spears in the May 2000 issue of Rolling Stone Magazine. Ms. Spears appears in multiple photos accompanying the cover article entitled “Britney Wants You!”. 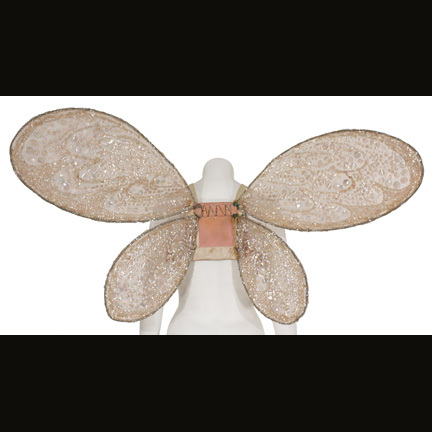 The wings are handmade from a delicate pink mesh fabric with hand applied sequins and decorations. 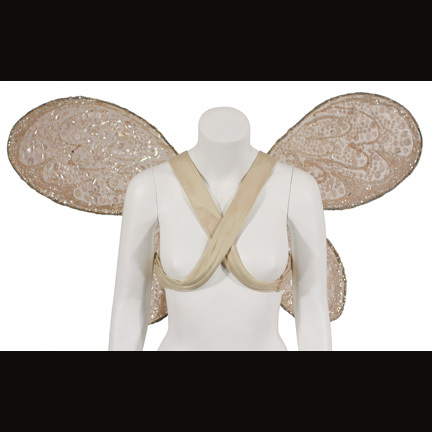 The movable hinged wings are attached to a pink cloth harness and also come with clear plastic protective sheaths. 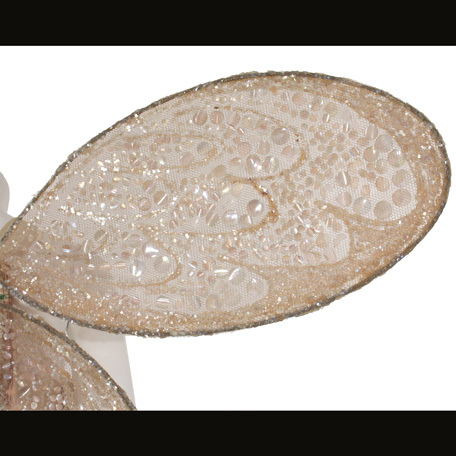 The wings are in good vintage condition with some evidence of wear and age as seen in the photos. 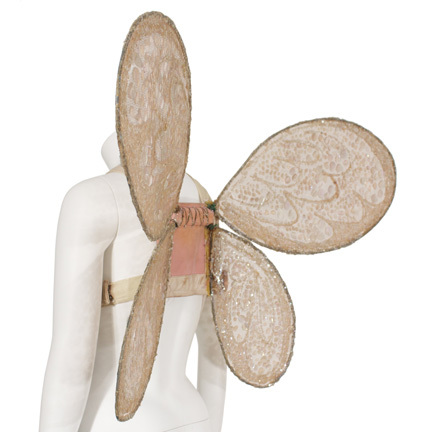 Accompanied by a letter of authenticity from the costume house that provided them for use on the photo shoot.